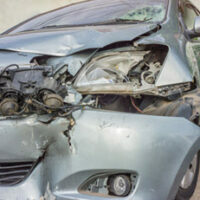 Strong evidence is the foundation of all successful car wreck claims in Tampa. Victim/plaintiffs have the burden of proof in these cases. They must establish negligence by a preponderance of the evidence (more likely than not). Negligence is more than just fault for the accident. Instead, negligence is basically a lack of ordinary care. But evidence alone is not enough. Facts in a car crash case are like pieces of a jigsaw puzzle. A skilled attorney must put these pieces together and create a compelling picture for the jury. If that happens, a Hillsborough County jury is likely to award fair compensation to the victim. This compensation usually includes money for both economic damages, such as medical bills, and noneconomic losses, such as pain and suffering. The police accident report is usually a very important component of the victim/plaintiff’s case. While they are not professional accident reconstructionists, most first responders are very good investigators. Their reports are usually quite accurate in non-serious injury cases. But if the victim is seriously injured or killed, the police accident report may be deeply flawed. In these cases, first responders often only hear one side of the story when they make their reports. Medical bills are important as well. These documents contain important information about the victim’s injuries and the costs involved. Additionally, medical bills usually have treatment notes and other additions that give a clear picture of the nature of the victim’s injuries. Finally, witness statements are often key. There is usually something quite compelling about a disinterested witness who takes the stand and tells the jury what s/he saw. The police accident report often has the names and contact information of a couple of witnesses. But there are usually others who, for whatever reason, did not voluntarily come forward at the scene. A Tampa attorney, sometimes working through a private investigator, can often reach these people. There is often another issue with witness statements. Some people did not have a good view of the crash or their testimony is unsure for other reasons. Their testimony is also rather subjective, because it comes from a certain point of view. The vehicle’s Event Data Recorder has none of these weaknesses. Computers almost always report accurate information. Furthermore, a witness might say that the tortfeasor (negligent driver) appeared to be speeding. But an EDR may show that the tortfeasor was travelling 66.7mph at the time of the crash. Florida has a very strict EDR privacy law. Unless the owner consents, an attorney usually needs to get a court order to examine and download the EDR’s contents. Furthermore, especially in large truck crash cases, EDRs are very complex machines. Attorneys need vast resources and special skill to use their information. All newer vehicles in the United States have EDRs, which are basically like the black box flight recorders in commercial jets. But most insurance companies destroy totalled vehicles within a few days. Any physical evidence they contain, including the EDR, is gone forever at that point. To prevent this outcome, an attorney can send a spoliation letter to the insurance company. This correspondence prevents the insurance company from “accidentally” destroying evidence before the victim/plaintiff has a chance to examine it. An attorney must be a good investigator as well as a good advocate and advisor. For a free consultation with an experienced personal injury attorney in Tampa, contact The Matassini Law Firm, P.A. We do not charge upfront legal fees in negligence cases.